What’s the future of Google and audio? When you think about, Google has really just been crawling towards the hidden search destination: audio. Audio is a huge category of media content that in the past has been difficult to index and search for one simple reason: good technology for transcribing audio does not exist. Sure, there have been attempts like Dragon NaturallySpeaking and Jott. -Indexing every video’s audio file on YouTube. YouTube is a huge Google sub-company. There is a lot of content on Youtube that is just sitting there, waiting for something. And, with Google’s latest move to provide CC for videos, it seems like searching the audio of videos is just around the bend. -Perfecting a speech to text conversion tool from data from Google Voice and Google 411. Google Voice and Google 411 are excellent services that use speech to text conversion. Google also has an iPhone app that works as well. All of these inputs can be used by Google to help create the best speech to text tool out there. -Indexing and converting to text all audio on the net, archive.org, podcasts, all audio in videos, etc. With podcasts, videos and archive.org, being able to index all of the audio on the internet would be a wonderful feather in Google’s cap. What do you think about the future of Google and audio? Let us know in the comments! I religiously watch the Apple keynotes. I love Apple. And I love their latest decision to add SD card slots to MacBook Pros. After all, SD seems to be the winner in photography storage, and many photographers have MacBook Pros. But the idea of Apple adding SD card slots sprung my live imagination into overdrive. Take a look at what it came up with. Now that we have SD card slots in MacBook Pros, it won’t surprise you that I think that new announcements for refreshed Mac Pros and iMacs will include SD card slots. It’s obvious that Apple thinks that these are the future. What about the larger picture? 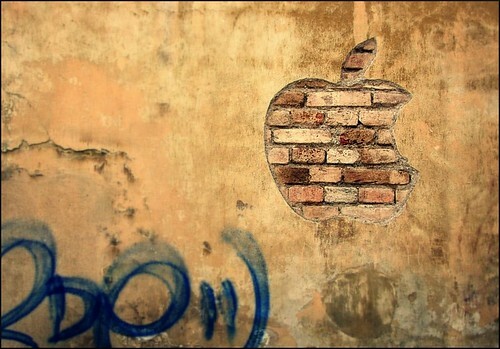 What schemes do you think are hatching in the mind of Apple? How about changing the default method of distributing software from CDs to SD cards? That would be pretty radical and game changing. And a pain for older computers. The next OS X on a SD Card? Maybe. And with the application of booting off of the SD card slot, there are even more possibilities. How about SD cards? Who uses SD cards? Photographers. In the past, some small rumors have circulated about an Apple camera. Is now the time that Apple will release one that uses SD? Very likely. But I find an Apple video camera more likely. Or both? Maybe Apple will be the first company to create a video and still camera that does well on both ends. It could also be that Apple is coming up with it’s own version of the EyeFi. With that, customers who want GPS on there computers could add it. What do think? Do you think that the iPhone will have a SD card slot eventually? What other predictions did this article cause you to churn out? Let us know in the comments! Disclaimer: I have no affiliation with Apple. These ideas were sparked by news articles, Apple keynotes and my imagination.